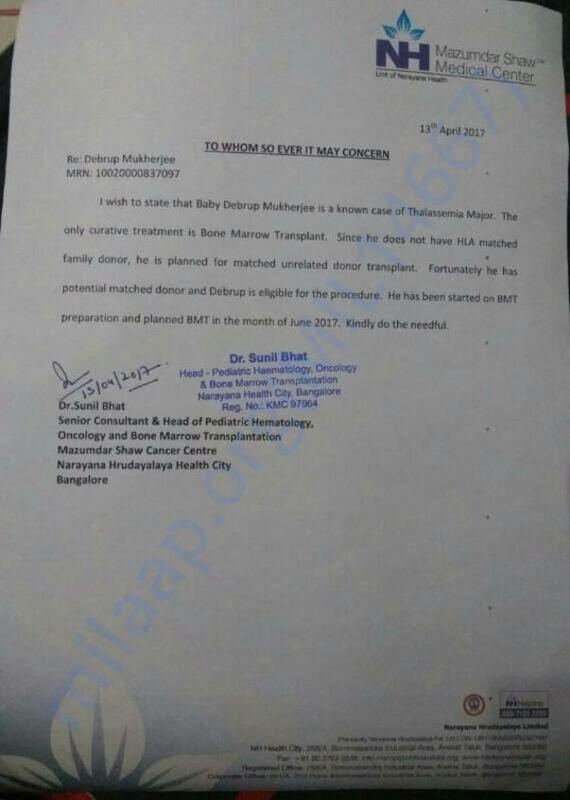 Baby Debrup is suffering from thalassemia major and the only cure for the disease is by undergoing a bone marrow transplant. 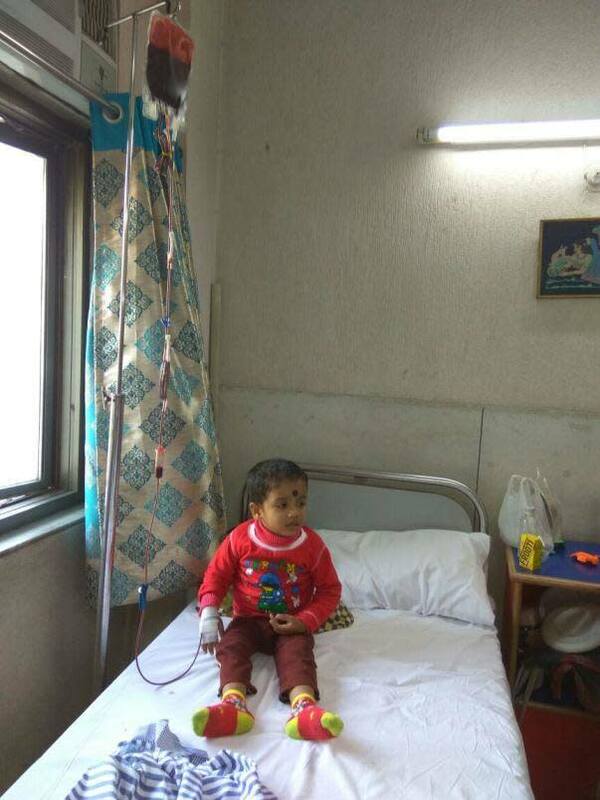 Since last 3 years, Debrup has been suffering from a life-threatening diseaseof Thalassemia Major and has undergone several sessions of blood transfusion. 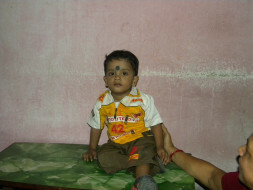 The kid is unable to start his school education due to his complications andillness. 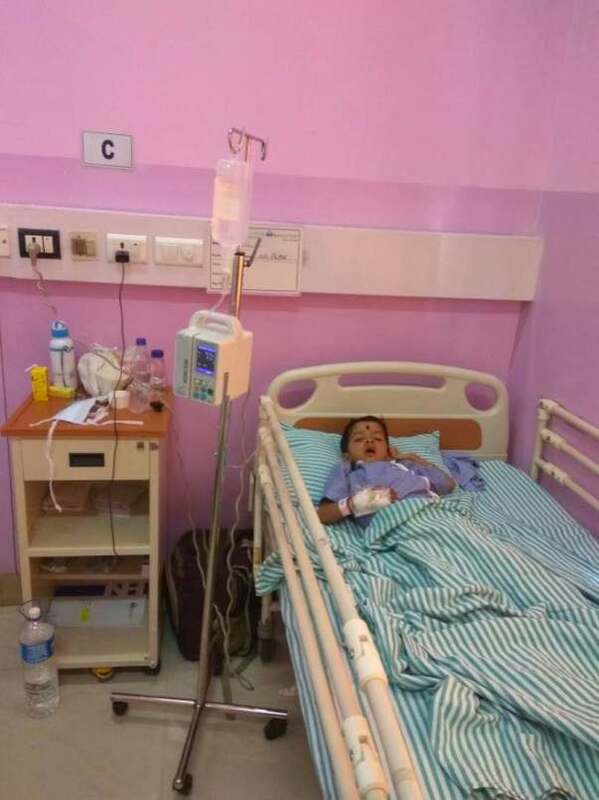 The doctors have suggested a Bone Marrow Transplant procedure for Debrup which will ensure he leads a healthy life in future. However, the absence of sufficient funds with the parents and a requirement of 23 lakh rupees is further delaying the procedure. 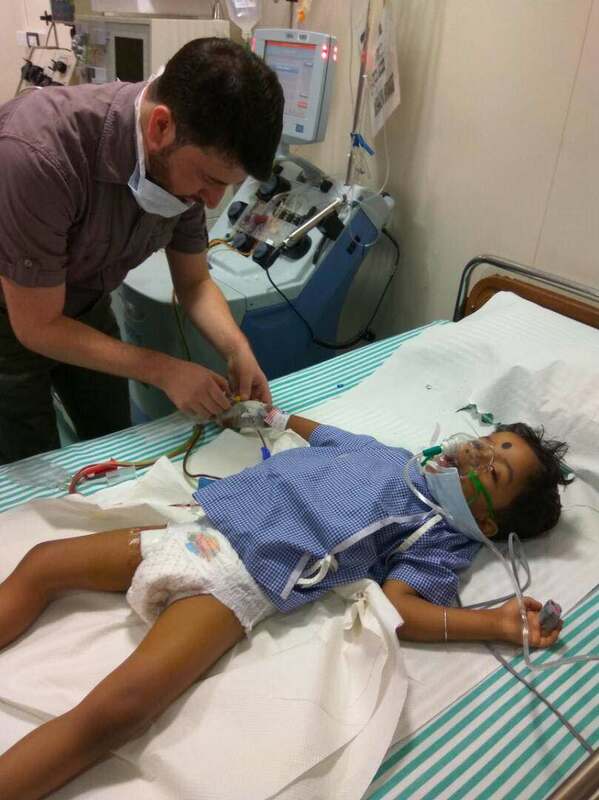 The parents seek your help in order to save their only child. Request you to support his procedure by contributing to his campaign. Thank you for the wonderful support that you have shown towards Debrup. Apologies for the delay in informing keeping you updated. He has successfully completed the transplantation process in October 2017. He underwent the transplant and began to show signs of recovery. Later his body succumbed to post BMT infections which requires him to undergo more treatment. I am Debotri, a fellow at Milaap. Here is an update on Debrup's health. I spoke to Debrup's mother, Soumi, this morning. "My child is doing well these days. The weakness has reduced. Thank you, donors, for coming forward to help my baby. However, from the last couple of days, his face and eyes have swollen", she said. On 13th April, they visited Narayana Hrudralaya, Bangalore. 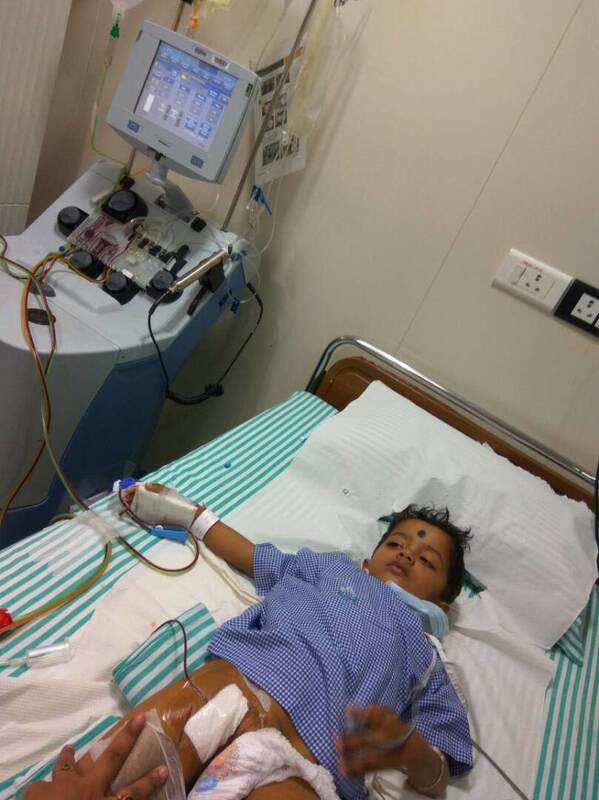 The child was admitted for 8 days for Peripheral Blood Stem Cell (PBSC) Donation. This is a situation where blood is removed through a needle in one arm and passed through a machine that will collect only the blood-forming cells. The remaining blood is returned through a needle in the other arm. This process is similar to what is used when donating blood platelets. This cost of this entire process was almost near about Rs 80000. Debrup does not have an HLA-matched family donor, so he is planned for matched unrelated donor transplant. Fortunately, he has potential matched donor and is eligible for the procedure. The child is scheduled for Bone Marrow Transplant in the month of June 2017. The doctor advised him to undergo 6 days of oral chemotherapy before the transplant. Currently, Debrup and his mother are at Noida. 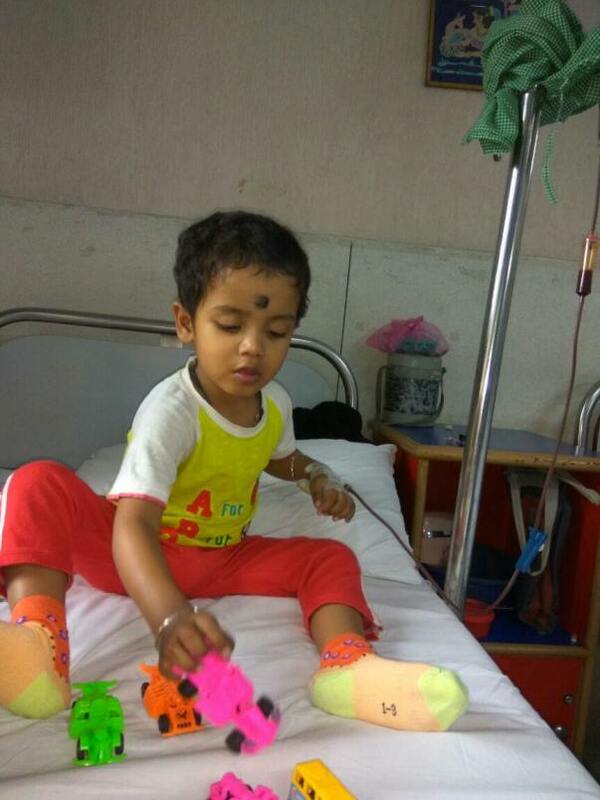 On 3rd May, he will be transfused blood in his body, which will cost around Rs 5000. "I know my child is going through a lot of trouble. He will be completing 4 years on 5th October 2017 and I firmly believe that he would a lead a less complicated life. I just wanted to say Thank You in the biggest way possible. You gave me hope and courage when I completely broke down", Soumi said. We have attached a copy of the new cost estimation letter below. Thank you once again. We will keep you posted on his progress. Please share his story and help him to fight the battle. Thank you for supporting Debrup's campaign. We are grateful to all the contributors, the campaign is still far away from the goal. Hence we request you all to share it on your networks and help the family get more contributions. The family is unable to arrange the remaining funds which might result in postponing the surgery date. We urge you to keep supporting the campaign and keep Debrup in your prayers. We are attaching the recent picture of Debrup at the hospital.